Out of every 100 patients who undergoes “curative intend” surgery about 20 patients (range 6-25%) will be alive in 4-5 years from the day of surgery. Within this group of patients some will do better and some worse. These are some of the reported factors that predicted for better outcome: the size of tumor (less than 3 cm), lack of positive margins after removal of tumor, lack of involvement of lymph nodes. Despite the common prejudice there are patients alive without disease beyond 5 years. Return of disease after the fifth year is rare. The quality of life for these patients is actually quite good and most resume normal daily activities. Unfortunately, patients with positive margins after “curative intend” surgery do have a poor outcome, similar to patients who have not undergone any surgery due to advanced disease. There is absolutely no benefit in cancer of the pancreas for debulking palliative surgery. The relief of obstructed biliary duct for palliative reasons is very helpful to the patient and is not considered a “debulking” surgery. Can the results of surgery be improved with additional treatment? More than 50% of patients despite excellent surgery will have their disease come back either in the local tumor bed or at distant sites most commonly the liver. There has been efforts to improve the results of surgery by adding radiation and/or chemotherapy before (neoadjuvant) or after (adjuvant) curative intend surgery. Despite improvements in reducing the frequency of local recurrence with combined chemotherapy and radiation treatment the distant disease (recurrence in liver or lung) remains to be a problem. Although most experts or treating oncologist will recommend some form of before or after-surgery treatment there is not a “gold standard” approach as with breast and colon cancer. Some of the recent clinical trials suggest at best a modest improvement in relapse rate (how frequent the disease comes back). There are ongoing efforts (clinical trials) to improve the outcome following surgery and given the poor outcome of “standard approach” it is recommended that patients and their physicians seek further information about these efforts. To learn more about clinical trials in the setting of “curative intend surgery” click here. 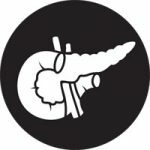 Previous Article Can I be cured from pancreatic cancer?